On the back of the South African edition of Ultra Music Festival G-Star RAW teamed up with Bridges for Music to present the ‘RAW Conversations’. Two workshops hosted in Johannesburg and in Cape Town to facilitate knowledge transfer and inspire positive change through music and education. 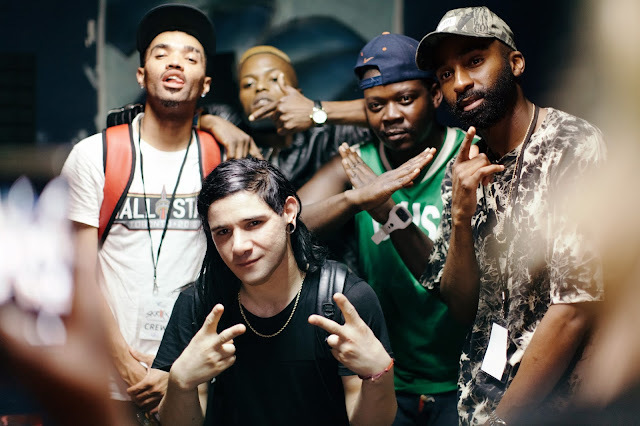 Grammy Award winner Skrillex headlined the workshops together with Riky Rick, both of them took time to meet and engage with local artists in the underprivileged communities. The ‘RAW Conversations’ was proudly presented by G-Star RAW as part of the fashion brands’ initiative to support upcoming talent and promote educational initiatives in creative spaces. 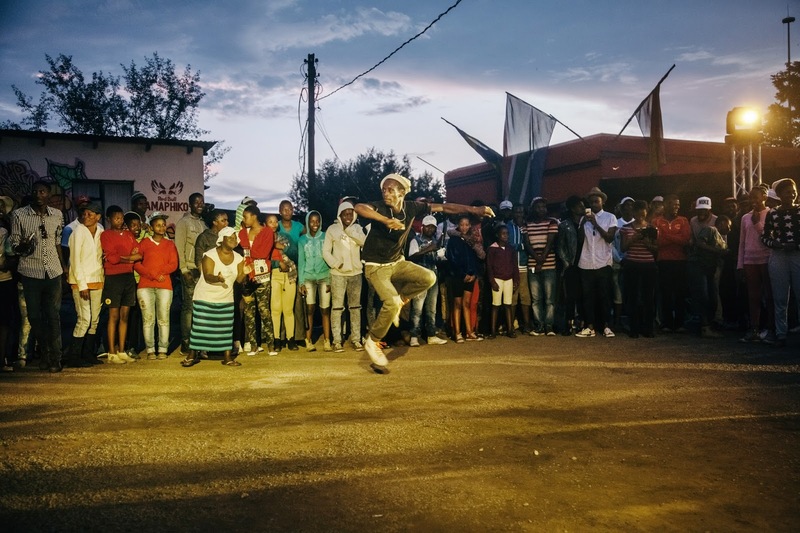 The first workshop took place at the Kliptown Youth Centre in Soweto, South Africa’s biggest township in Johannesburg. 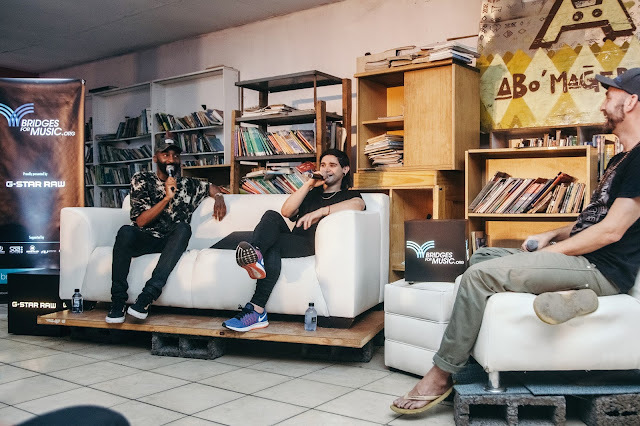 Skrillex was joined on the couch by South African Hip Hop and former G-Star RAW x Boiler Room star Riky Rick for an engaging interview that explored each artists journey in the creative industry and how to achieve your dreams through self-belief, hard work and determination. 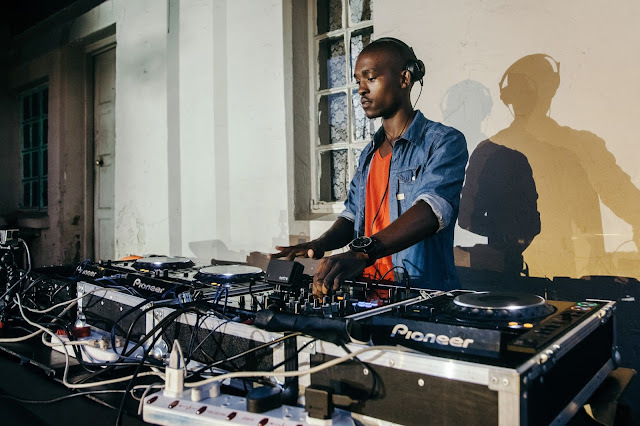 The proceedings were kicked off by Euphonik and DJ Lag (the King of a new style of South African music called Gqom, also former G-Star RAW x Boiler Room) and ended with an impromptu DJ set from Skillex and explosive performance from Riky Rick. The second workshop took place in Cape Town at the Tsoga centre in Langa Township in a space that has been taken over by Bridges for Music to build their Music and Entrepreneurial school. 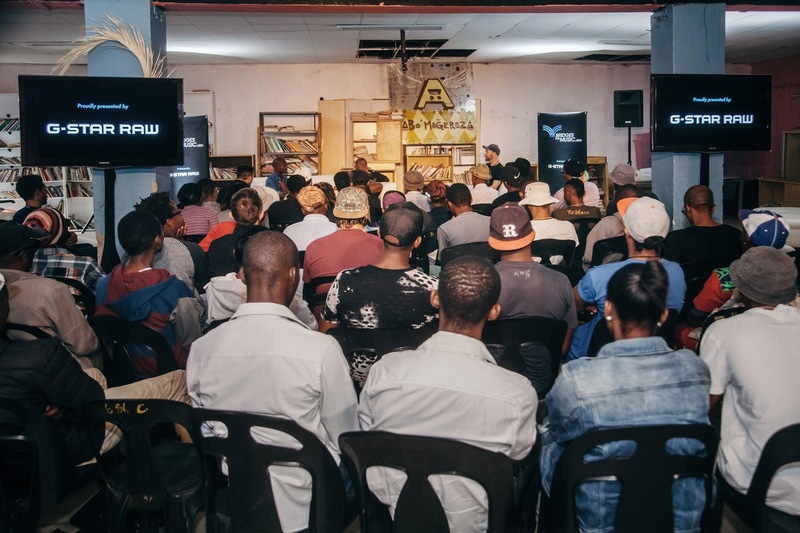 The workshop included Cape Town’s biggest hip hop act Driemanskap, prolific drum and bass DJ / producer Niskerone and local DJ Fosta. The workshop ended with a back to back set with DJ Fosta and Siphe Fassie - an 18-year-old artist from Langa who has been working with BFM since he was 14. G-Star has deep roots in the creative worlds of art, design, music and movies and maintains relationships with iconic talent that share the brand’s philosophy.